Shelf Indulgence is a book review column. It’s all about indulgence, so you will find a mix of the new and the old, some lifted from my bookshelves, some borrowed from libraries, some bought from bookshops; a few downloaded to my e-tablet. Expect the conventional alongside the unconventional, and recent publications rubbing shoulders with a few old favourites. This novel was recommended to me by two people within five minutes of each other. Nothing is certain, however, and one of the reasons I’m somewhat resistant to the current literary sensations is because they so often disappoint. 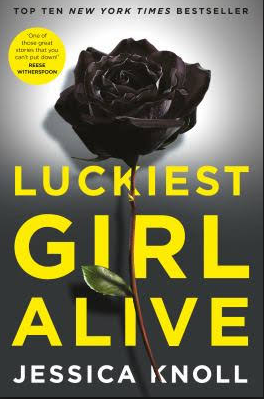 Rest assured: Luckiest Girl Alive is as good as its hype. Compelling and harrowing, this tense debut also had some very funny moments. Ani is a twenty-something social climber, writing for a top fashion magazine, engaged to the man of her dreams, and well on her way to the perfect life. But she is haunted by terrible events that marred her teenage years. Make no mistake: there’s some dark stuff going on here; this is a no punches pulled, Columbine-inspired story. But Ani tells it without self pity, and with considerable wit – which is doubly impressive, given author revelations since the book’s publication. It is a terrific, thought-provoking adult read, brilliant for readers’ groups, and would make a superb discussion topic for Vth and VIth form students, too. In a dual narrative and timeline, American violinist, Julia, discovers Incendio, an old unpublished waltz, while in Venice. From the instant she plays it, the music has a sinister impact on her life, putting her in fear of her three year-old daughter. The second storyline follows Jewish Venetian luthier and composer, Lorenzo, during Mussolini’s rise. When Lorenzo is asked to practise a duet with headstrong cellist, Laura, he is captivated. Gerritsen, an accomplished musician herself, writes persuasively and with terrific emotion about the bond that grows between the duettists, so that it seems natural that the passion these twin souls feel for their music will turn to a love for each other that transcends the genocide of WWII. 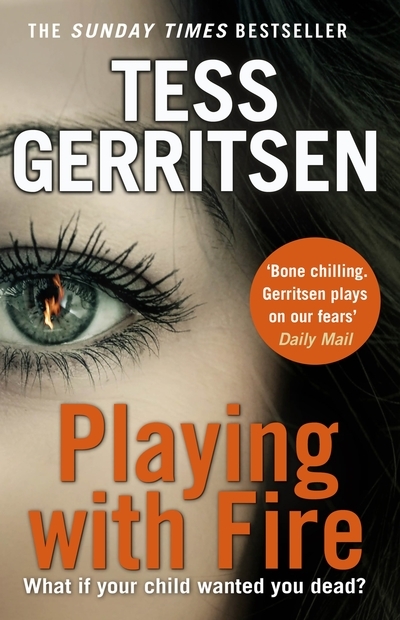 This is very different from Gerritsen’s Rizzoli & Isles crime series. Here, she plays deliciously with form and genre, creating a novel that evolves as you read: part mystery, part psychological suspense, with a dash of the supernatural thrown in. An achingly sad tale of Jewish persecution, but also of human decency and quiet rejection of evil. The final chapters resolve the terrifying behaviour of Julia’s child in a very satisfying way, and while another element does stretch credibility, it doesn’t spoil the novel. I am a self-confessed slow reader, but I sat up late and woke early, finishing this book in (for me) a record three days. TRUTH WILL OUT, the third novel in the Fennimore & Simms series, will be published 03.11.16. For a chance to win one of two signed first editions, simply comment on these reviews @adgarrett1 on Twitter, quoting: #ShelfIndulgence, or leave a comment here at Shelf Indulgence.